This is the Blue Ridge Camping Hammock sold by Lawson. 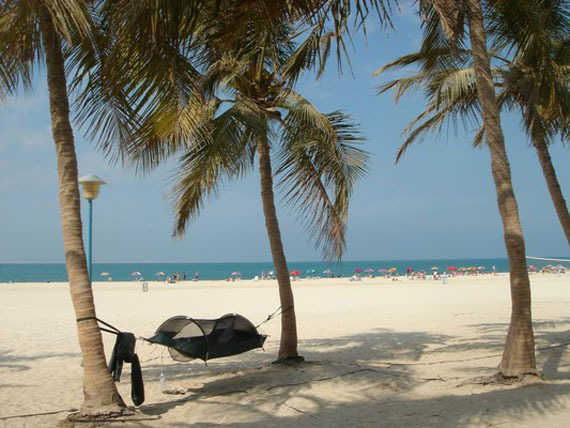 But it’s not just a hammock, oh no! 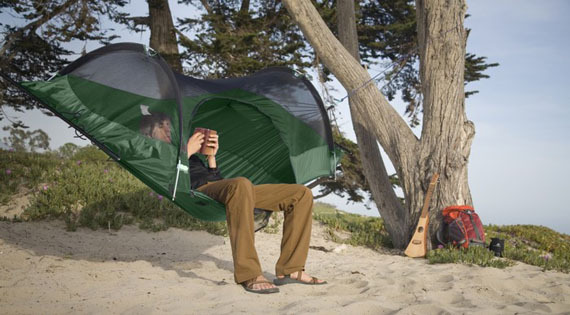 It can also be used as a ground tent. For one. Sounds… depressing. Nothing sadder than getting wild in the wild by your damn self. The thing only weighs 4-pounds, is made of nylon and aluminum and includes bug netting and a detachable rainfly. 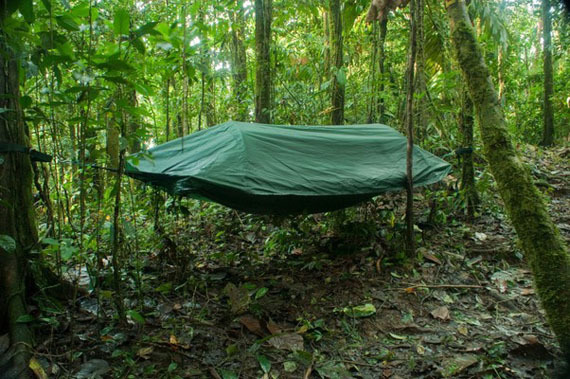 The reviews for the Campin Hammock are pretty solid, noting that it really is equipped to brave the elements. But I’m just going to go out on a limb and assume this does NOT protect against bears, so if Yogi and Boo-Boo come along looking for eats, you’re more or less f***ed. And, in this case, I’m gonna go with more. Those two will do anything for a pick-a-nick basket. I’m talking, like, tear you limb from limb and crash your car into a tree. They’re ruthless! Looks very relaxing. Good for probably one person. It would be a tight squeeze to fit two in there as a tent. I was wondering about what if you don´t find trees near enought to tight you hammarock? What are you doing then?